The popularity of the Sony A7R doesn’t show any sign of weakening and my own temptation to purchase one has been tweaked by David Tolcher’s review of the Mirex Canon to Sony tilt shift adapter in the current issue. The ability to use a whole range of legacy lenses with movements on such a small camera mean the possibility of a truly compact high end landscape photography kit. As long as people aren’t getting bored of the A7R coverage we’ll continue to look into the possibilities as they not only affect the A7R but any other mirrorless devices that come out in the future. David Ward continues his essay on creativity and the flow state this issue with some hints in how to get into that state - a problem many photographers have, especially when they go on photo holidays and the first day is usually a hard creative slog, however enjoyable. Lizzie Shepherd takes us on a ski backpacking trip to Norway’s oldest national park, Rondane, and discusses the use of lightweight cameras to take advantage of fleeting opportunities when travelling fast. We spent a couple of days in London recently where we were attending the opening of the Year of the Print exhibition, the brainchild of Charlie Waite. 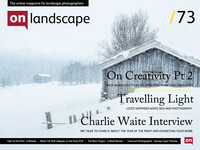 We also took the opportunity to interview Charlie about the project and exhibiting your pictures in general. 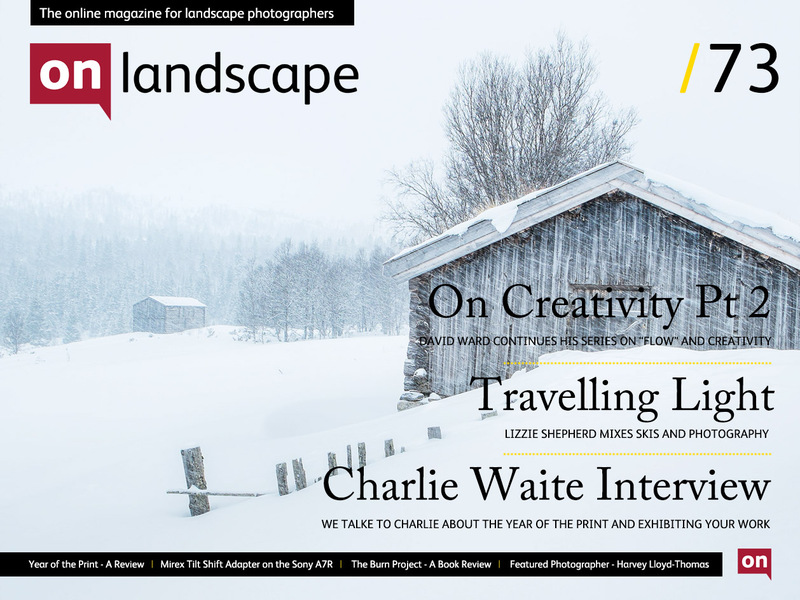 In the next issue we’ll include a transcription of a couple of discussions that took place during the week between Joe Cornish, Charlie Waite and Steve Watkins. 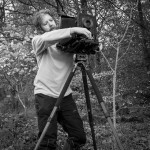 Harvey Lloyd-Thomas is a photographer we’ve been keeping track of and we opportunely met him on the Iceland trip that took place with Joe Cornish, David Ward and Daniel Bergmann recently. He was great company and agreed to be one of our featured photographers when we got back to the UK. Finally we wanted to introduce you to one of our favourite books and photography projects of the year. The Burn by Jane Fulton Alt is an astonishing project documenting the controlled burn of grasslands in the US - we’re hoping you like it as much as we do.